Today, children and teens across Texas are pledging to live tobacco-free lifestyles and encouraging their peers to join them as part of Texas Tobacco-Free Kids Day (TTFKD). Created in 2013 by Sen. Rodney Ellis (D-Houston) and sponsored by the Texas Department of State Health Services and the Texas School Safety Center, the purpose of TTFKD is “to get every school in Texas involved in the effort to help students make healthy choices by not using tobacco today and in the future.” Texas school children are encouraged to share the tobacco-free message through activities like smoke-free sit-ins, writing to elected officials, announcements over the school loud speaker, messages on school and city billboards, and even flash mobs. Texas physicians know a major way to decrease smoking-attributable illnesses and deaths is by preventing minors and young adults from ever taking up the tobacco habit. More than two out of three of Texas’ adult smokers started smoking regularly at age 18 or younger, and 85 percent started at age 21 or younger. 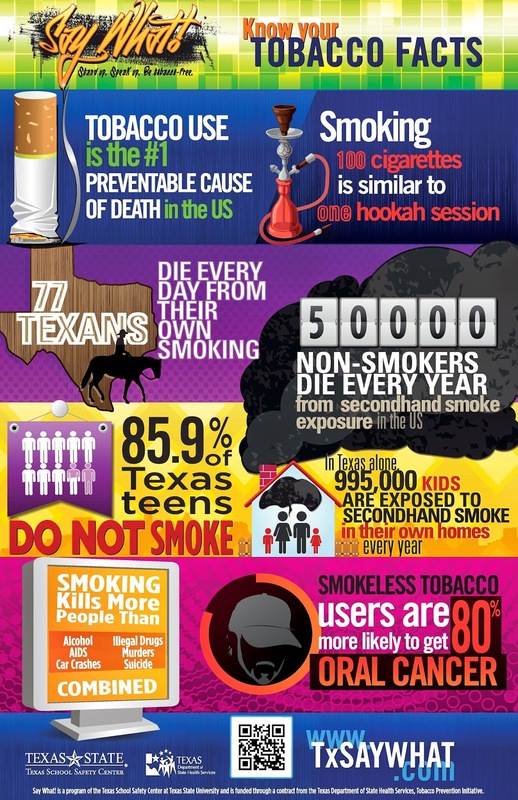 The Centers for Disease Control and Prevention estimates about 23,000 Texas minors start smoking each year.